The Chicago International Film Festival kicks off this Thursday, October 12, bringing a packed lineup of movies that range from serious documentaries to lighthearted comedies. While there's plenty of national and international talent on display throughout the festival, there is also a handful of noteworthy films by local directors. 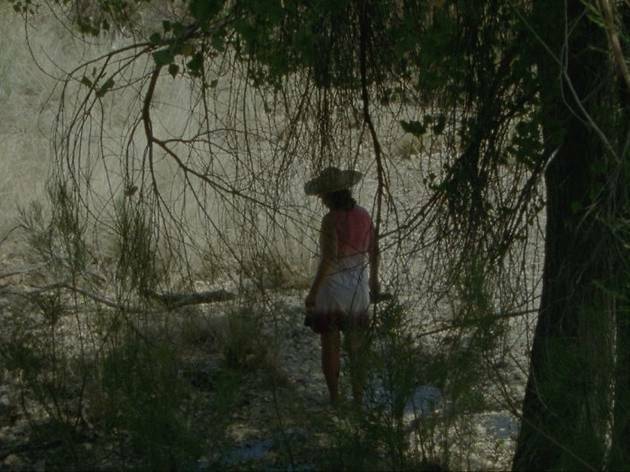 Chief among them is El Mar la Mar, a haunting and poetic documentary by Joshua Bonnetta and recent Chicago transplant/Northwestern University professor J.P. Sniadecki that examines life along the border of the U.S. and Mexico. The most daring aspect of this provocative non-fiction feature is the way the film’s many interview subjects are only heard and never seen. Their compelling stories are instead told via voice-over narration, forming a kind of off-screen Greek chorus that the filmmakers juxtapose against images of beautiful but harsh desert landscapes (not unlike James Benning’s Deseret) and occasionally a pitch-black screen. As one would expect, the issue of illegal border crossing is prominently featured, which inevitably marks this as a commentary on Trumpism, but there are plenty of surprises as well. My personal favorite sequence involves one man’s harrowing and utterly convincing story of his encounter with a 15-foot tall monster. Stephen Cone (Henry Gamble’s Birthday Party), one of Chicago’s best and most prolific directors, returns to CIFF with Princess Cyd, another coming-of-age tale involving the conflict between flesh and spirit. The title character here is a troubled 16-year-old girl (Jessie Pinnick) who travels from South Carolina to Chicago to spend the summer with her famous novelist aunt (Rebecca Spence) and unexpectedly finds romance with a cute barista (Malic White) in the process. Although, from a narrative perspective, this feels more contrived than Cone’s very best work (how is it possible that Cyd doesn’t know the origin of her own first name? ), this shortcoming is compensated for by the nuanced and complex lead performances, which are effectively filtered through Cone’s always-refreshing humanism. Credit too must go to Zoe White’s gorgeous, delicate cinematography, which imparts a feeling of “being there-ness” in its ephemeral evocation of late-summer sunlight. Last but not least, local movie buffs are likely to get a kick out of The Replacement, an ambitious sci-fi/comedy short by the husband-and-wife team of director Sean Miller and producer Naz Khan. Local indie producing and acting mainstay (and Midwest Independent Film Festival executive director) Mike McNamara turns in a delightful performance as Abe Stagsen, a janitor in a futuristic America who becomes outraged when one of his many clones successfully runs for President. This high concept allows the filmmakers to pose philosophical questions similar to other beloved sci-fi movies (Who are we? Where are we going? What does it mean to be human?) but what really elevates this sharp short are the top-notch visual effects, which render familiar Loop locations almost unrecognizable, and a welcome comedic tone that runs counter to the ultra-seriousness one might expect from a film set in a dystopian future. El Mar la Mar screens on Tuesday, October 24 and Wednesday, October 25. Princess Cyd screens on Tuesday, October 17, Saturday, October 21 and Wednesday, October 25. The Replacement screens as part of the Shorts 1 block on Sunday, October 15, Wednesday, October 18 and Wednesday, October 25. For more info and showtimes, visit the Chicago International Film Festival's website. Where is local filmmaker, Chicago's DePaul University professor Alireza Khatami's Oblivion Verses, winner of Best Screenplay at Venice Film Festival in this list?